My fiancé and I are currently saving for our wedding venue. Saving is tough and for us, we cut out entertainment expenses, like our date nights. We used to go to the movies every weekend, but before the show, we would go out eat, buy candy, popcorn and soda, and sometimes a Grande White Chocolate Mocha. Date nights are important for every couple and with our crazy schedules and cutting our date night allowance meant we had to find something else to do. So, I found the date night jar via Pintrest and picked up the supplies while I was shopping at Michael's for the accessories for Let's Make a Deal. The next thing I did was paint my popsicle sticks. I started with one color at a time and I painted one side at a time. While one color dried, I painted the others, and so on. By the time I was done painting with all 3 colors, my first batch had dried. I painted the unfinished side and repeated my steps. When I was done, I let them sit over night. 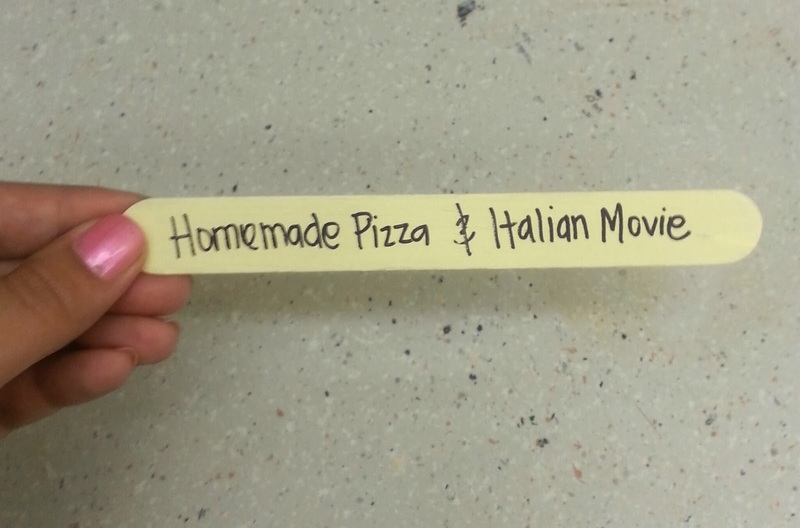 The next day, I took my painted sticks and wrote each date on the popsicle sticks. (It is really hard to write on those bad boys!) I let those dry for a few minutes and I put them into the mason jar. 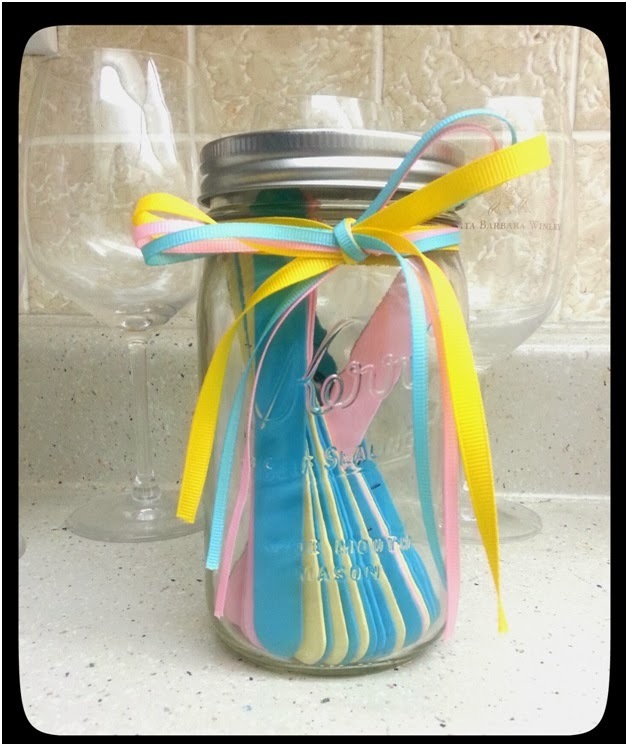 Last but not least, I took all 3 colors of ribbon and tied them in a bow around the lip of the jar.